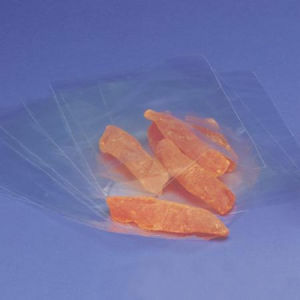 Clear Gusseted Polypropylene Bags, 4" x 2-1/2" x 9-1/2"
Dimensions: 4" x 2-1/2" x 9-1/2"
Clear Gusseted Polypropylene Bags, 3-1/2" x 2" x 7-1/2"
Dimensions: 3-1/2" x 2" x 7-1/2"
Clear Gusseted Polypropylene Bags, 5" x 3" x 11-1/2"
Dimensions: 5" x 3" x 11-1/2"
Clear Flat Polypropylene Bags, 4" x 6"
Clear Gusseted Polypropylene Bags, 2-3/4" x 2-1/2" x 9"
Dimensions: 2-3/4" x 2-1/2" x 9"
Clear Gusseted Polypropylene Bags, 6" x 3-1/4" x 13-1/2"
Dimensions: 6" x 3-1/4" x 13-1/2"
Clear Flat Polypropylene Bags, 5" x 7"
Clear Flat Polypropylene Bags, 6" x 8"
Clear Flat Polypropylene Bags, 3" x 5"
Clear Flat Polypropylene Bags, 8-1/2" x 11"
Clear Gusseted Polypropylene Bags, 4" x 2-1/2" x 17"
Dimensions: 4" x 2-1/2" x 17"
Heavy Duty Clear Polypropylene Bags, 2-1/4" x 2" x 9-1/2"
Dimensions: 2-1/4" x 2" x 9-1/2"
Heavy Duty Clear Polypropylene Bags, 2-3/4" x 2" x 11"
Dimensions: 2-3/4" x 2" x 11"
Heavy Duty Clear Polypropylene Bags, 3-1/4" x 2" x 12-1/2"
Dimensions: 3-1/4" x 2" x 12-1/2"
Flat Clear Low Density Bags are 1.5 mil and designed to package a variety of products. These bags can hold everything from small parts to all types of food items. Meets FDA guidelines for direct food contact. They can be heat sealed to provide security or retain freshness. If you don't see the size you need, call us at 1-800-426-5708 and speak with one of our product experts. Priced per case. Case sizes indicated below. These 1 1/2 Mil Gusseted Clear Low Density Bags are designed to handle a wide variety of packaging needs. These bags can hold everything from small parts to all types of food items. Meets FDA guidelines for direct food contact. Bags are packed: 5G104208 is 4" x 2" x 8" for 2M (2,000) per case. All others are packed 1M (1,000) per case. Priced per case.